Get your travels started on the right track by learning a bit about Genga before you jet off. This town can be found 7 miles (11 kilometers) north of Fabriano. You'll also find it 12 miles (19 kilometers) northwest of Matelica. Gain unbelievable savings on vacation packages via Travelocity. Simply pick from more than 400 airline partners and 665,000 places to stay, and you'll be off to Genga in no time at all! Looking for a panic-free journey? Our Customer 1st Guarantee gives you the freedom of 24/7 personal assistance on all services. Noticed a better deal elsewhere? We'll match the price and reimburse the difference^. If you want to reschedule or cancel your package bookings for any reason at all, there won't be a hidden charge from our end. And as long as you get in quick, many accommodations don't charge extra fees either^. The early bird catches the worm, particularly when it comes to booking accommodations in Genga. 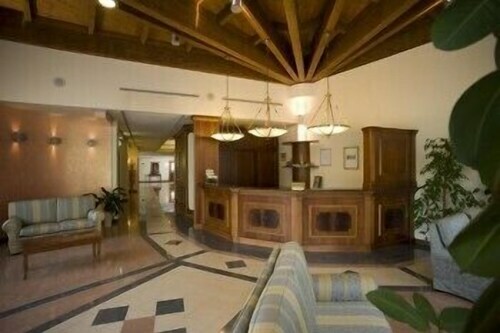 With just 8 properties available, you'll need to act quickly to get your room of choice. If you're the sort of traveler who fantasizes about high thread-count sheets, compare the amenities at the Hotel Le Grotte (Frazione Pontebovesecco) or the Hotel Gentile Da Fabriano (Via G. di Vittorio, 13). If you're simply after a cosy room to catch up on sleep, don't worry! We've got options for you too. The Country House Federico I (L.go S. Cristoforo 2) and the B&B Maggiociondolo (Localita Rocchetta Bassa 58) are some wallet-friendly alternatives. Where do you fly into for Genga? Nothing's better than finally touching down in a completely new place. If you've booked a flight for Genga, there's a good chance you'll be disembarking at Falconara Airport (AOI). It's 25 miles (40 kilometers) to the northeast of the main streets. Collect your belongings and get set for a wonderful vacation! Can I rent a car in Genga? Reserve a rental car via Travelocity and get to know Genga on your own time. Collect a car from Fox Rental Cars at Falconara Airport and you can go directly from the plane to the highway. Make your way through the subterranean tunnels and passageways at Frasassi Caves. If you dare, try turning off your light and spend a moment in the pitch-black darkness. Want more ideas? You don't have to know your Van Goghs from your Matisses to wander the halls of Museo d'arte sacra San Clemente. It displays a thought-provoking collection of exhibits that'll capture your interest and fuel your curiosity for art. But that's not all. Would you like to add some deeper meaning to your vacation? Go on a pilgrimage to Tempio del Valadier. No matter what your spiritual beliefs, it's a terrific place to discover the local religion. Genga is just 25 miles (40 kilometers) from Santa Maria Lignano. Use this place to access a range of tourist attractions, such as Eremo delle Carceri and the Roman Temple of Minerva. Colombella is one more destination to keep in mind. It's just 30 miles (48 kilometers) away. If you'd like to come here, close by attractions like the Palazzo dei Priori and the Fontana Maggiore should certainly be on your list. 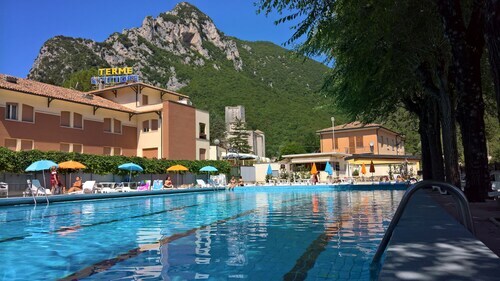 Situated in a regional park, this spa hotel is 2.2 mi (3.6 km) from Frasassi Caves and 7 mi (11.3 km) from Museum of Paper and Watermark. Hermitage of the White Friars and Sartarelli Winery are also within 20 mi (32 km). Situated on the riverwalk, this hotel is 0.5 mi (0.9 km) from Frasassi Caves and 9 mi (14.5 km) from Museum of Paper and Watermark. Sartarelli Winery and Sports Hall Ezio Triccoli are also within 25 mi (40 km). Genga San Vittore Terme Station is 16 minutes by foot. Situated in Genga, this inn is 0.5 mi (0.9 km) from Frasassi Caves and 9 mi (14.5 km) from Museum of Paper and Watermark. Sartarelli Winery and Sports Hall Ezio Triccoli are also within 25 mi (40 km). Genga San Vittore Terme Station is 16 minutes by foot. 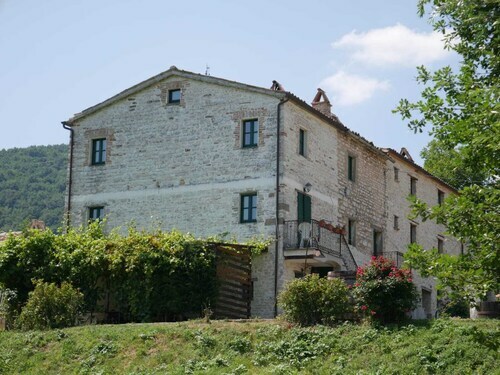 Situated in a rural location, this historic vacation home is 9.8 mi (15.7 km) from Frasassi Caves and within 20 mi (32 km) of Museum of Paper and Watermark and Sartarelli Winery. La Piaggia Staircase and Diocesan Sanctuary of Santa Maria Goretti are also within 20 mi (32 km). 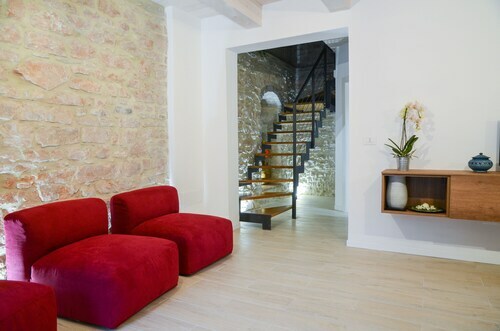 Situated in a rural location, this historic vacation home is 6.6 mi (10.6 km) from Frasassi Caves and 6.7 mi (10.8 km) from Museum of Paper and Watermark. Hermitage of the White Friars and Sartarelli Winery are also within 25 mi (40 km). Situated in Genga, this vacation home is 3.1 mi (5 km) from Frasassi Caves and 8.2 mi (13.2 km) from Museum of Paper and Watermark. Hermitage of the White Friars and Sartarelli Winery are also within 20 mi (32 km).